Hollywood Cameraman Dani Sanchez-Lopez For Mahanati! Legendary actress Savitri’s biopic titled Mahanati is into all sort of positive news ever since its inception. 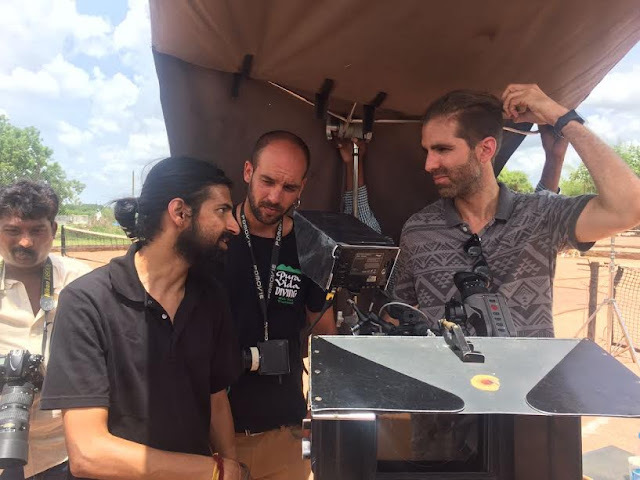 Director Naga Ashwin’s in depth research exploring the life, working style and times of Savitri’s period is getting a final on screen shape through the lenses of Hollywood top cameraman Dani Sanchez-Lopez. Keerthy Suresh, Samantha and Dulquer Salman are playing main roles in Mahanati supported by a big casting team. Director Nag Ashwin and producers Swapna Dutt, Ashwini Dutt have roped vastly experienced Dani Sanchez-Lopez after finding his elaborative color mixing and fascinating light diffusion techniques used in his past films so effective. His high acclaimed works include direction and cinematography for songs in Dibakar Banerjee’s Detective Byomkesh Bakshy, Qatil Akh by East Side Story, Heal, Dil Dhadakne Do, Tamanchey, Ishqueria, San Pacchattar and others. “Dani Sanchez-Lopez, the film making Professor is a recognized visual artist who works in the photography and video art realm made a name in directing International Ads, Musical videos, documentaries and art forms. Dani is mixing formats for period film Mahanati that crosses several decades. 16mm, 35mm and Alexa with V-Lite anamorphic and Master Prime lenses, as well as a progression of diffusion and different vintage lights, are some of the elements used to achieve different looks for the past. Mahanati is assured to be a visual grandeur. Mahanati is a magnificent script from Nag Ashwin. Every artist who made it into the team is keeping their best efforts. Few other star artists are expected to join in coming schedules. We are extremely overjoyed with the production part finished till now,” producer Swapna Dutt said.